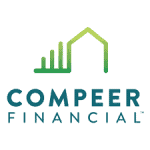 The mission of the County Fair Facility Upgrade Grant Program is to support rural areas in Compeer Financial’s territory by funding county fair organizations as they repair fairground livestock buildings, 4-H buildings or livestock judging arenas. County fairs enhance rural communities by bringing people of all ages together to learn and experience agriculture. This grant program is designed to help fund upgrades and repairs of fairgrounds and facilities so fairs can continue to offer the best possible experience year after year. Funding of up to $3,000 per fair is available. Eligibility is determined by fairground – must be a county fair organization located within the Compeer Financial territory in Minnesota, Wisconsin, and Illinois. Up to $3,000 per fair is available for repairs or maintenance to existing livestock buildings, 4-H buildings or livestock judging arenas. Funding will not be provided for building fundraising campaigns. Eligibility is determined by fairground. Fair organizations that did not receive a grant last year for their fairgrounds are eligible to apply this year.